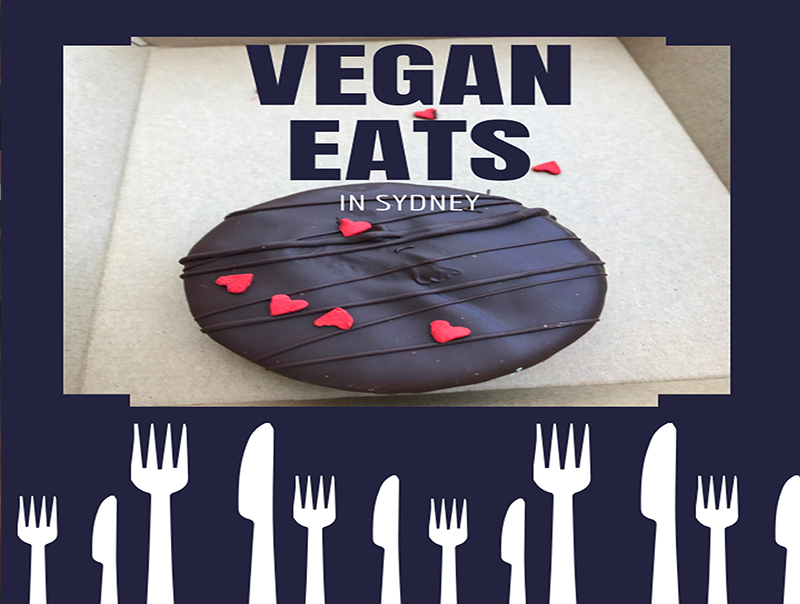 Looking for vegan eats in Sydney? 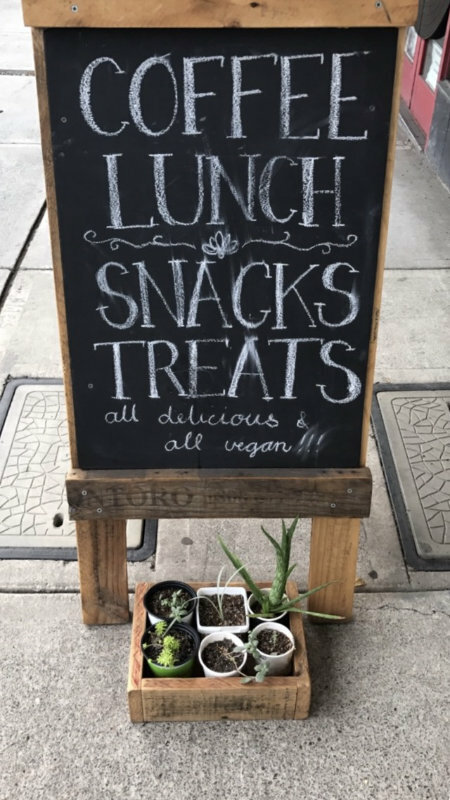 I spent a few days in Sydney recently and like always I tried out lots of different vegetarian and vegan cafes and restaurants. 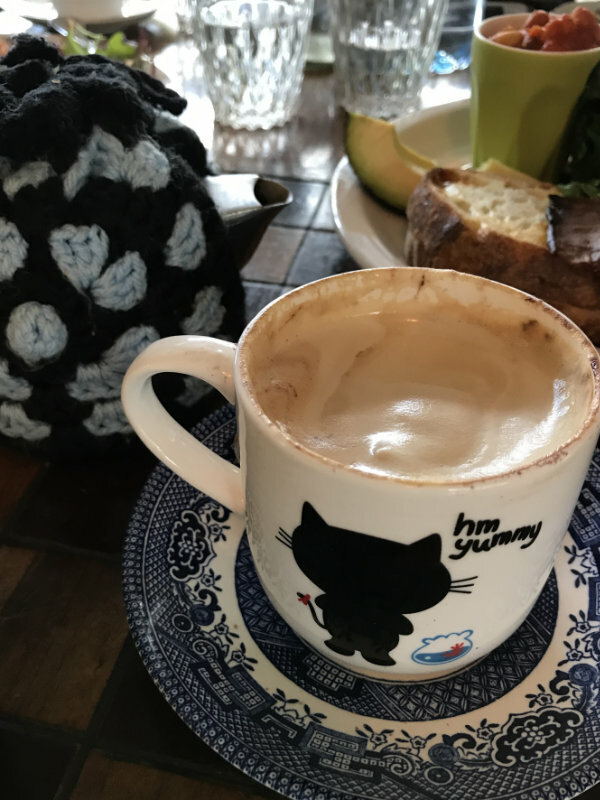 This list of cafes and restaurants is the latest in my vegan eats in Sydney. Usually when I’m planning a trip I plan where I’m going to eat as well. You just never need to be hungry when you’re with me. It’s really not worth it. 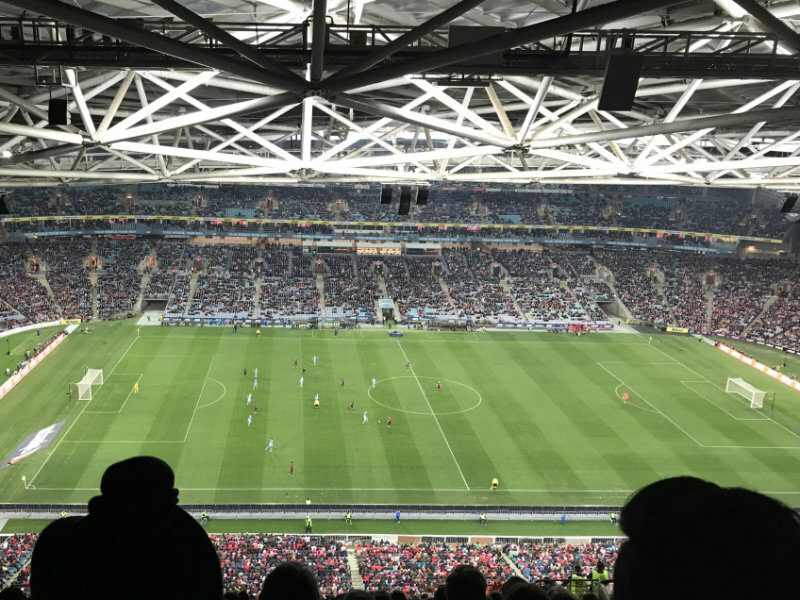 One of the reasons I went to Sydney was to watch Arsenal play Sydney fc. 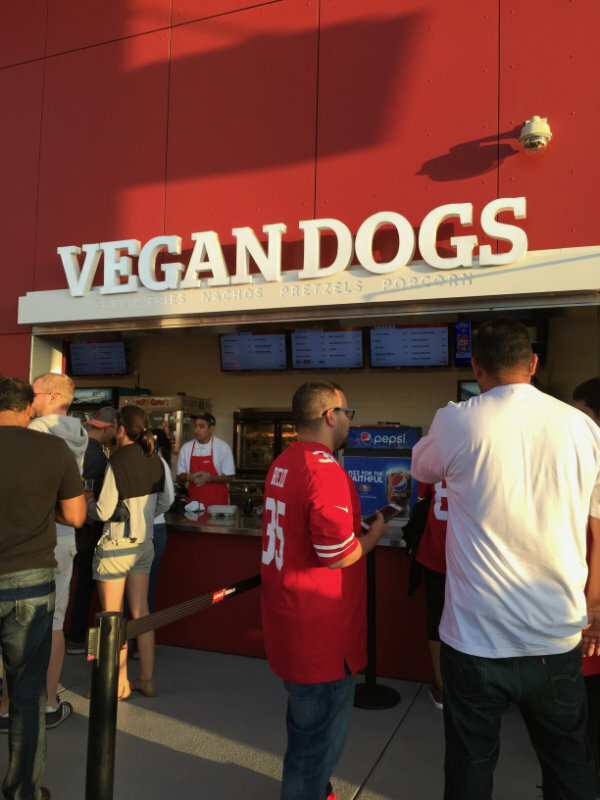 Now I’ve been to sporting stadiums that sell vegan hot dogs (hello San Fransisco 49ers) but I knew this was not going to be the case in Sydney. So, we just planned beer and hot chips at the stadium but were so full from dinner we passed on the hot chips and just drank beer! 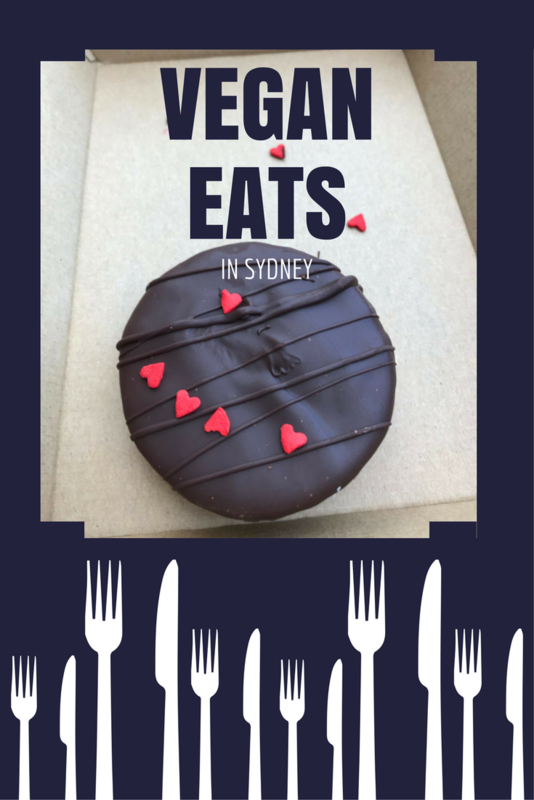 So here’s my round up of vegan eats Sydney. Be warned, if you follow this food trail you’ll be completely full and craving vegetables! We headed to Newtown first. One, because it was close and two, because they have lots of vegan options there. Golden Lotus originally had a single shop front but it has become so popular that they’ve opened up next door as well. They’re open for lunch (Thursday – Sunday) and dinner (every night) and interestingly the reviewers on Facebook (rating it 4.9/5) have a much better time than the reviewers on Zomato (3.8/5). 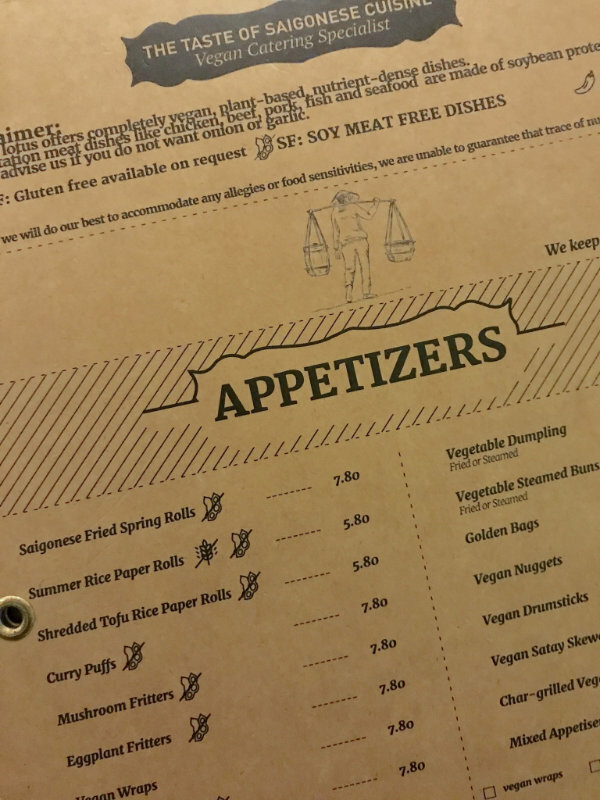 They serve authentic Vietnamese vegan cuisine with a focus on fresh ingredients. The owners grew up in Saigon and opened Golden Lotus in 2015. The servings are a good size and the price is reasonable. Three of us shared 2 appetisers and each had our own main meal. For three people the bill came to $75. I only found out about Petty Cash Cafe when a friend checked in here a couple of months ago. 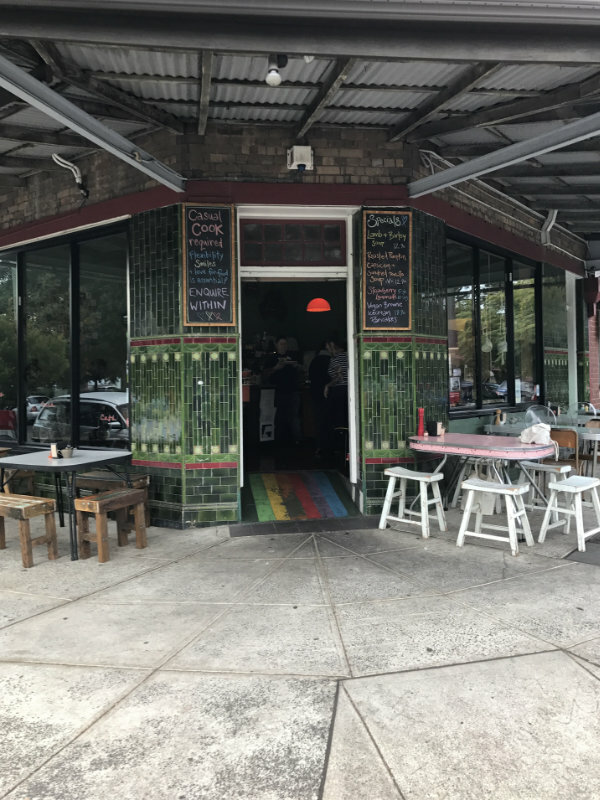 It’s in Marrickville and we went for breakfast on a Friday morning. Sydney early morning is not the same as the Gold Coast early morning. On the Gold Coast every cafe is open early, many from 5:30am. Not so in Sydney. 7:30am seems to be a good opening time and sometimes even later. Petty Cash Cafe is open everyday and serves a variety of vegan and vegetarian dishes in house and take-away. For lovers of breakfast, they serve it all day. As we went at breakfast time, we had breakfast, although we could’ve ordered from the lunch menu too! The vegan big breakfast included ‘vacon’ – their secret house made bacon-tasting side made from buckwheat and beans; tomato, spinach, hash brown, beans, avocado and toast. They also serve grilled sandwiches with harissa mayo, bacon and hash brown. 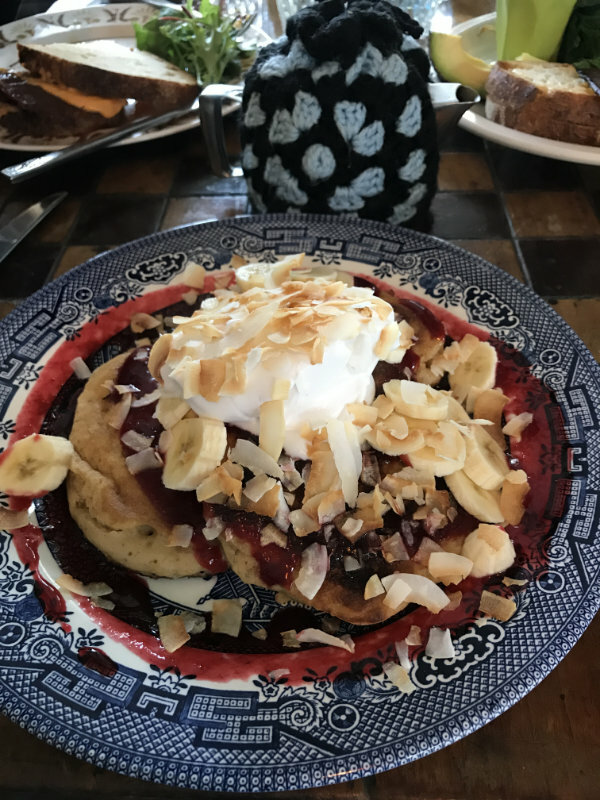 I had the vegan chia pancakes with banana, raspberry coulis and coconut yogurt. Their coffee is smooth and they serve their tea in little pots kept warm with cute little crocheted tea cosies. We weren’t hungry after that, but we were in Balmain and passed Nutie donuts. So we just had to have a vegan wagon wheel. You just never know when you’ll be passing again so you don’t want to have non-buyers remorse. It was a fairly cool day and the wagon wheel had just come out of a cooler cabinet. We really should have waited 10 minutes before biting into it, but we couldn’t resist, so it was a little crispy. I had been to Gigi’s before and was certainly excited to go back again. There are still lots of pizzas I need to try! And of course cocktails. My only problem with the Gigi’s menu is that the drinks are printed in white writing on a dark background and the restaurant is dark and my eyes are not great in the dark even with glasses. So I pointed to the menu and said to the waiter ‘This one’. Turns out it was a good choice! Although, I don’t think they have a bad cocktail choice. 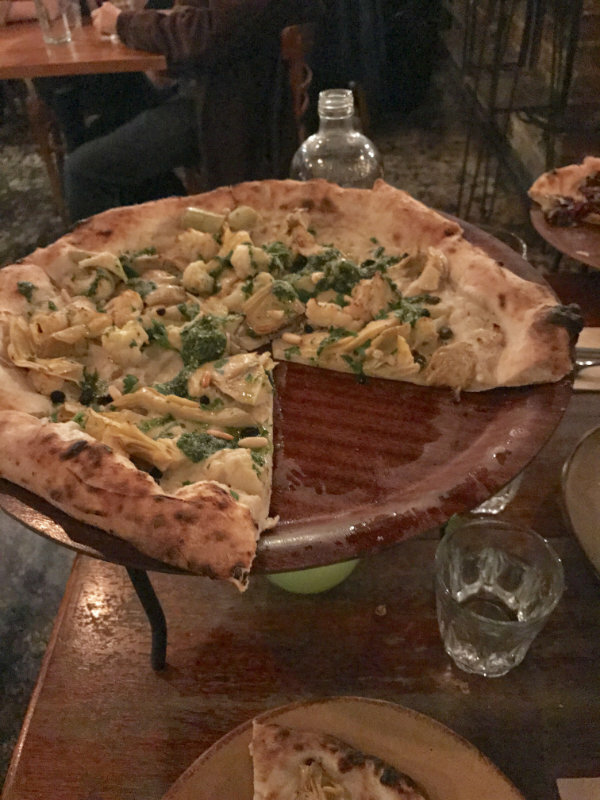 I had an artichoke and cauliflower creamy pizza – cauliflower puree, artichokes, pine nuts, capers, currants, garlic, parsley and extra virgin olive oil. Trent had the Funghi e Radicchio – swiss brown mushrooms, garlic, dairy free blue cheese, parsley, radicchio, roasted walnuts and extra virgin olive oil. And because we weren’t full enough (jokes!) we had dessert too. A citrus tart and tiramisu. And because we were so excited about dessert I forgot to take a photo, which is really unlike me. Gigi’s delivers true Napoli wood fired flavours to all its pizzas and follows specific regulations about hand-stretching the dough, the toppings used and wood-firing. All of which combine to create authentic tasting pizzas. We then headed to a really cool bar, Earl’s Juke Joint just down the street from Gigi’s at number 407. I was taken here once before and wondered why I would go here, since the outside has signs advertising Betta Meats, top quality meats and continental small goods. But once inside it’s full of New Orleans memorabilia, cool tunes and barmen dressed in butcher’s aprons. All drinks are served with a bowl of nuts which is a bonus. And I feel like I got my serve of fruit for the day with my whiskey and freshly squeezed apple juice. Saturday morning saw us head to Maker Sydney. 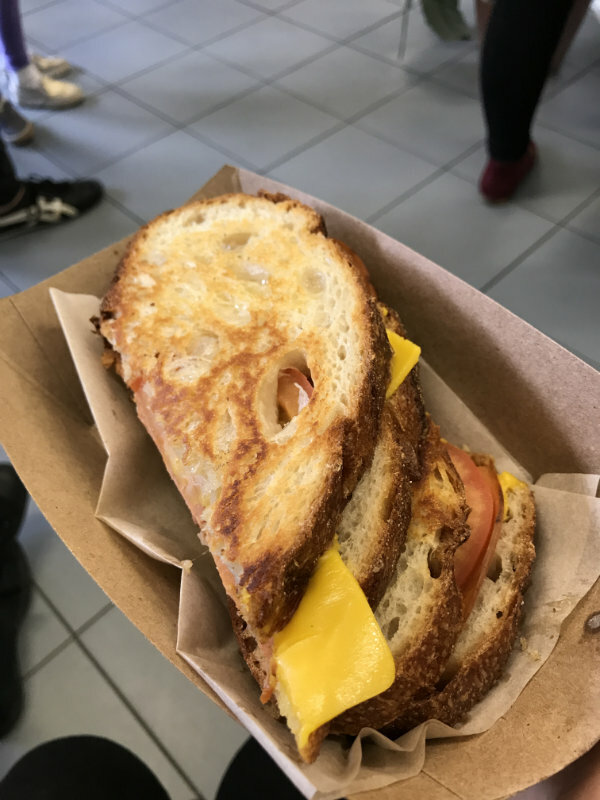 I’ve been following their Instagram for a while and was looking forward to trying out a toastie. Their cafe is only open Saturday and Sunday from 9am – 3pm. They serve toasties, cakes, donuts and sweet treats. 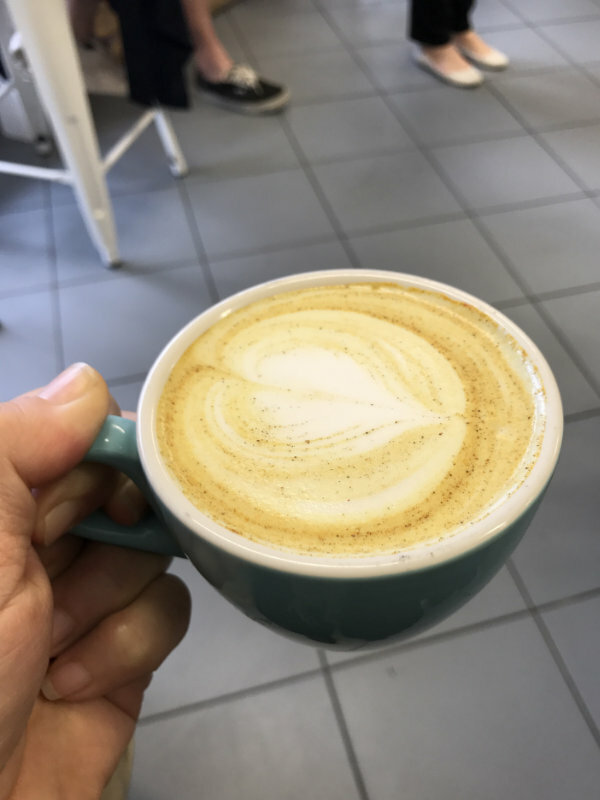 And they serve Beyond Latte – a spicy ginger turmeric latte, made by my good friend Keren. They hold workshops here too, or you can hire the kitchen to make your own goodies. And then the reason I went to Sydney this time was for my mum’s 81st birthday. And I chose the venue! Bodhi was established almost 30 years ago. 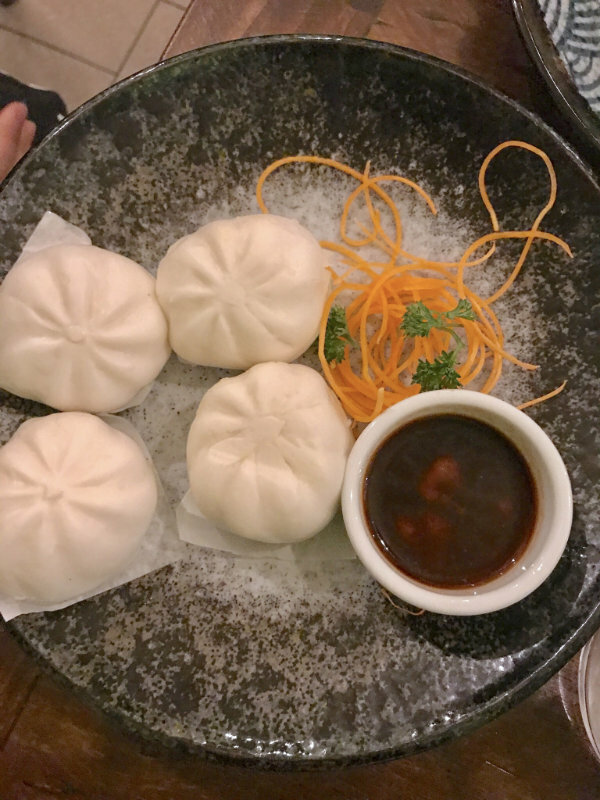 They pioneered and specialise in vegan yum-cha. 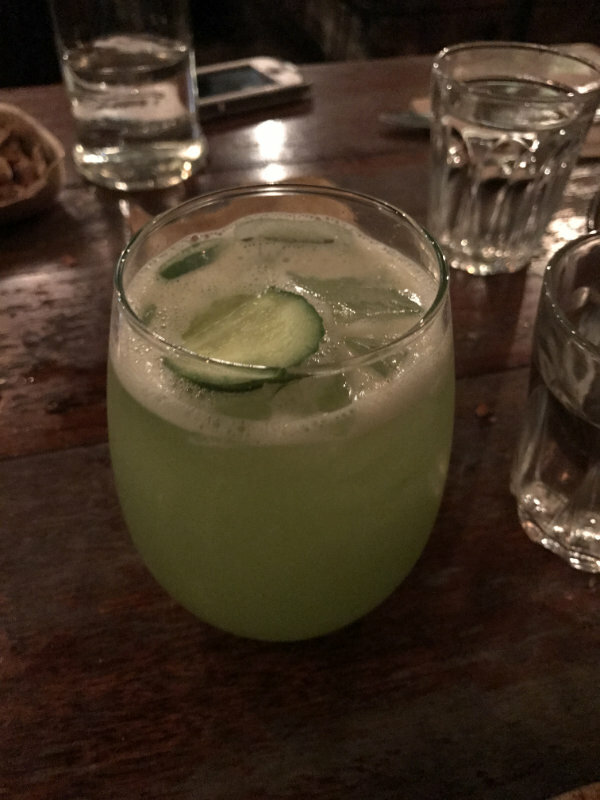 They aim to be an ethical, environmentally friendly and sustainable restaurant and that is reflected in their fresh produce and their extensive wine/alcohol list. And I was so busy with family that there are no photos. But I’d love to go back again and spend more time enjoying the food and flavours. My last meal was delivered by UberEATS. If you haven’t used UberEATS before you can use the code eats-amandaa4087ue and you’ll get $10 off your first order. It’s so convenient and there are lots of options wherever they deliver so no matter what you feel like you’re sure to find something to suit your tastebuds. 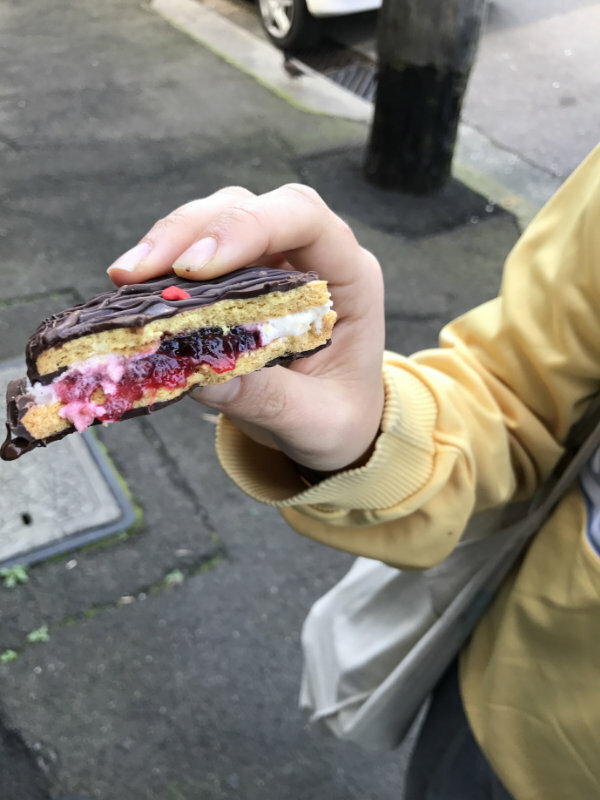 We also snacked on some vegan wagon wheels from Nutie Donuts in Balmain!